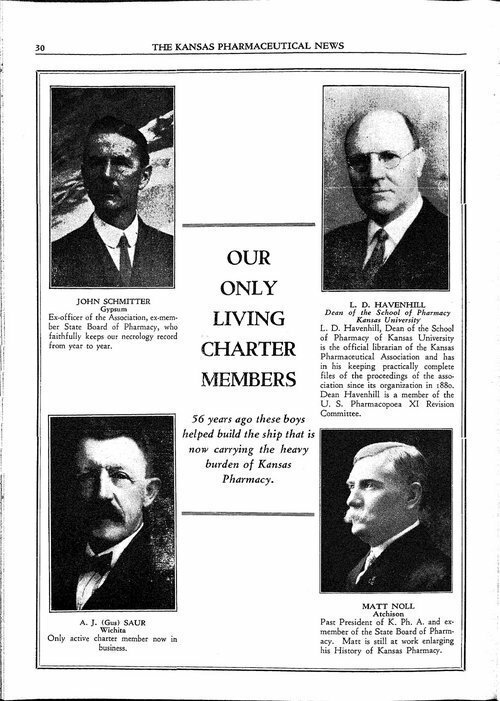 This page from the Kansas Pharmaceutical News shows photographs of the only four charter members of the Kansas Pharmaceutical Association still living in 1937. The association was founded in 1880. The four charter members are John Schmitter of Gypsum, L. D. Havenhill of Lawrence, A. J. (Gus) Saur of Wichita, and Matt Noll of Atchison.